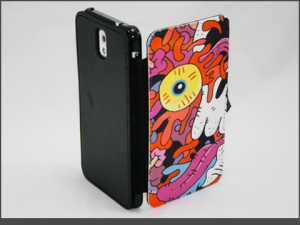 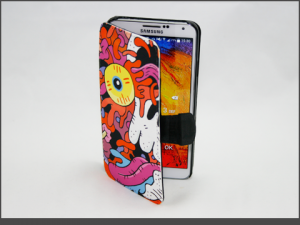 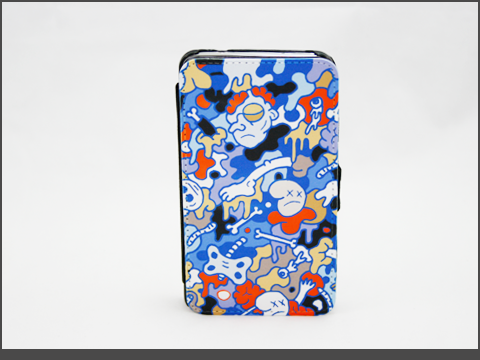 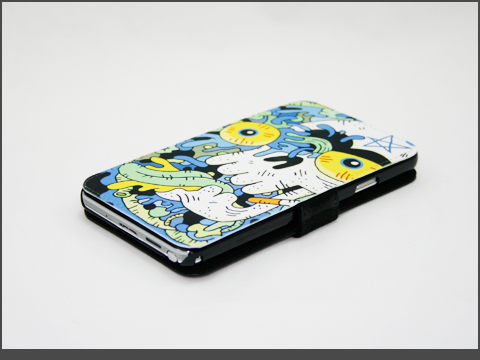 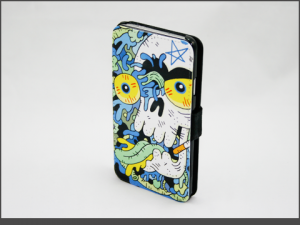 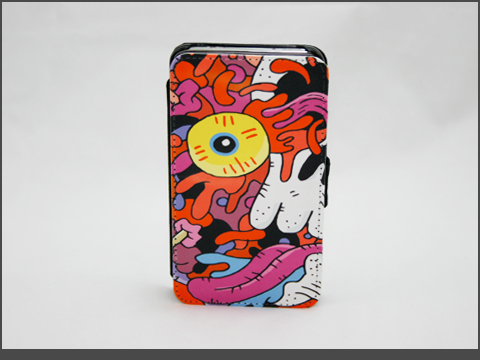 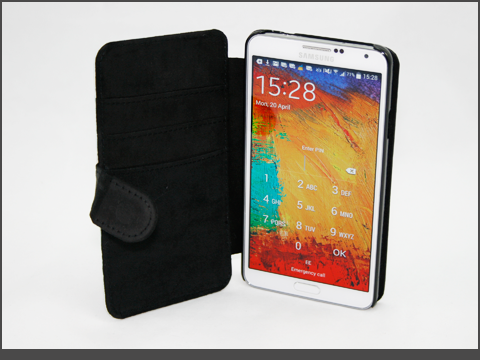 Wallet style hard case for Note 3. Stylish black faux leather wallet case. 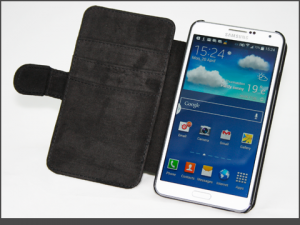 Note 3 clips into an internal hard plastic cradle and the wallet wraps around providing protection. The wallet fastens with a magnetic flap. 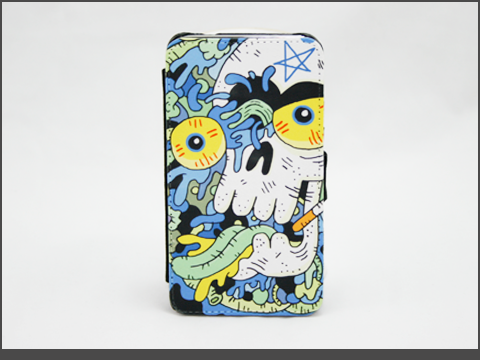 Inside face of the wallets faux suede cover has 3 slot pockets for credit cards etc.